Since the early 1980s, Clive Barker has been widely acknowledged as one of the most important creative practitioners in the horror genre. Though primarily a prose writer, he has also worked in the theatre, graphic art and film, and his directing debut Hellraiser (1987) was one of the most strikingly imaginative British horror films of its era. Born in Liverpool on 5 October 1952, Barker studied English literature and philosophy at the local university before moving to London to work in the theatre as a writer, director and actor. There, he also made two amateur short films, Salome (1973) and The Forbidden (1978). 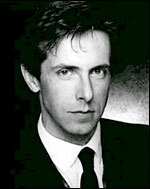 In his late twenties he began writing the stories that were anthologised as Clive Barker's Books of Blood, given a huge commercial boost by Stephen King's gushing comment "I have seen the future of horror and his name is Clive Barker". Two of them were optioned by director George Pavlou , but Barker disliked both Underworld (1985) and Rawhead Rex (1987) and felt that he could do a better job. Accordingly, Barker adapted his own story 'The Hellbound Heart' as Hellraiser . It was an exceptionally confident debut, its low budget belied by its inventive special effects, full orchestral score, and Barker's expert control of mood. Its premise, involving a terrifyingly inverted parallel universe closely linked to our own, had enough mileage to fuel several sequels, which he did not direct. Barker's subsequent films as director were Nightbreed (US, 1990) and Lord of Illusions (US, 1995), and the two Candyman films (US, 1992/5) were based on his work. He also presented the series Clive Barker's A-Z of Horror (Channel 4 tx 4/10 - 3/1/1998) and saw his stories adapted for the US-made series Masters of Horror (2006-7), though the bulk of his recent creative output has been for print.